I’ll say one thing – there’s certainly plenty of variety in my driving life at the moment. The week started with a Ferrari 599HGTE and Lamborghini Murcielago LP670-4 SV, which provided some entertainment – but this morning the nice people at Hyundai left a Rover Metro 1.4LD at the office for me to test drive. Obviously, Rovers have been a prime old car choice for Hyundai. The British company’s no longer around, so there’s no bad blood with any of the other press offices out there and, well – how many pre-1999 Ponys are there out there? Exactly. The trouble is, I rather like the Metro. A quick jaunt in it this afternoon confirmed that although the styling left a little (well, a lot, actually, but that’s another story we all know the reason for) to be desired, the interior packaging is marvellous. There’s loads of room inside considering the small footprint it takes up on the road. Also, once underway, the PSA TUD engine gives it just enough get up and go to keep up with the flow (while delivering a potential 60mpg). But the real revelation is the suspension set up. Considering how small and light the car is, the ride quality and damping control are astounding – and it’s a real testament to how good a well-sorted Hydragas set-up actually is. The steering, too, is direct, positive and full of feel. It lacks PAS, but who needs it in a car so light? Of course, a 15-year old Metro is going to lack the neighbour-impressing kudos of a brand new Hyundai (the i20 is actually very, very good, by the way) but, if you’re not one of those who cares what other people think and aren’t too worried about the odd breakdown, a little DIY, regular breakage and servicing, then serious questions need to be asked about just why we’re scrapping perfectly servicable cars like our Metro (which are also actually surprisingly good to drive) for the sake of getting a new car on the driveway? I drove the car in various areas from London to Bath, across to East England (Norfolk), and back to London in about a week. Very compentent car, rode a lot better – not as bouncy – as a Corsa I drove in Ireland the previous year. Got about 40 Miles per US Gallon (close to 50 per UK old Gallon/10 miles per Liter). Compenant on the M-1, able to keep up a good speed as well nice handling on narrow country roads. Small and easy to park, clutch forgiving and shifter easy to throw, seemed to be a rather nice small car. To bad they didn’t keep up with the competition while keeping the good parts. I’ve owned a 111L, brilliant little car, never let me down and surprisingly fast for a 1100cc single point injected engine. But the thing that really stood out, is the ride comfort for such a small wheelbase car, I had never driven such a good handling, and comfy too, and to this day I haven’t found a small or any car as good yet as a Hydragas-suspend car. We also own Maxi, Allegro( my Brothers’s) and I just aquired a Princess, together with a friend. All Hydragas cars, and I love them! O by the way, my Streetwise isn’t that bad either! The scrappage scheme may well have boosted new car sales but its done very little for the UK motor industry given that the main beneficiaries are Hyundai and Kia meaning that the Korean economy is doing very well from the UK tax payer funded scrappage scheme. Add to that the detrimental effect on used car residual values, the environmental costs of producing new vehicles and disposing of those which have been scrapped (assuming they don’t appear on Ebay and find their way back onto the road with false identities)and the increased levels of consumer debt to finance the purchase of new vehicles, who is actually benefitting from the scheme? From 2005 we have a 1992 114 GTa 16V and it is a great car (although getting a bit rusty on the rear wing). It is comfortable, roomy and fast. We have been on holiday in England 3 weeks ago (from Holland) with two adults and two children and the car performed very well and was a great drive. We were at the BMC rally in Peterborough with the Rover. It is a shame good cars get thrown away because of this scrappage scheme. Sadly the same is happening in Holland. @Ian Mac I don’t like this scrappage scheme for the same reasons as you. Its mad you can go into any dealer and haggle a deal without the need to use a scappage scheme at any time whether the economy is good or bad as far as I’m concerned that always been the case. Two years ago I purchased a new van for my business which was hard work as I usually buy cars with my heart but with the van I had to use my head. This meant I had to have a specific vehicle type which limited my purchase options. But when I came to purchase it, I shopped around for the best deal and managed to buy a 18k van for 11k and get 100k warranty. This because I bought a pre registered van with 3 miles on the clock!! (it now has 120k miles on it). People scrap car cars because they get to expensive to repair due to manufactures charge vastly inflated parts prices, try £800 quid for a new oil pump on a Vauxhall Astra Diesel or £400 quid for a new key !!! or they scrap them they are so shallow and obsessed about what the neighbours may think! But there are some real bargains about at the moment, my mate just bought a XJ6(XC300) on a R plate with 80k on the clock, full history in very good condition and it sailed through its MOT for £1000. It looks loads better than a Korean shopping trolley!!!! Personally, I think the whole srappage scheme is another example of what is now a ‘ throw away’ society. People, in the main but excluding the likes of AROnline readers, don’t maintain and repair. Instead, they neglect then chuck away & replace when perhaps only slightly broken. What is the environmental gain of scrapping a generally sound car from say 1998 and with 85,000 on the clock. In terms of fuel consumption, if well serviced, it would only be marginally worse than a brand new car. Is the relatively slight increase in efficiency of a brand new car not way off-set by the huge amount of resource required to produce it? Are you on Crack? Having said that i think it’s be exceptionally easy to prefer a Metro than the dross Hyundai kick out. We all know what’s wrong with Metros: mostly rust, radius arm bushes, HGF on the K series, and they’re not the best car to have a crash in. But I LOVE driving them! They are amazingly roomy, have terrific direct steering, and have a joie de vivre about them, whether A series, K series, or diesel – they all bound along like puppy dogs wagging their tails. I have a nasty feeling that if I tried one against a new Hyundai, I’d send the Hyundai back first. Scrappage kick-starting the recovery? I’d say that by distorting the market it’s just delaying the worst effects of the downturn. In a few months time when the scrappage money runs out and VAT is increased to 17.5% – or more, we will be once more be subjected to the wailing of the rascally car makers and big dealer chains. What’s worse is that the scheme has instilled a notion that any car over ten years old is worthless and should not be on the road. That idea benefits nobody, particularly the huge part of the UK automotive economy not involved in the importation, (just occasionally) manufacture, selling, and financing of new cars. Just dont have a head-on crash or you will have to be called Douglas Bader. I very much disagree with the scrappage scheme myself. If they really had to do this, then surely they could have used it to support cars made in the UK.. or in the very least the EU. The sheer panicking short sightedness of Gordon Brown’s motley crue of yes men (and a few women), never ceases to astound me. Bailing out banks for which half of many had no need, and offering money to those who realistically couldn’t pay their over-the-top mortgages, and now this! They have had no economic plan for manufacturing running parallel to any of these, and many companies have had to kick and scream at Alastair Darling’s door (of which Gordon Brown *STILL* holds the key to) just to get some sort of financial package fixed for them to continue in business while the uncertainty continues… just sheer wasteful stupidity.. I bet the Koreans are loving it! NCAP ratings, Pah! We’ve all survived in spite of being ferried around for most of our days in death-traps! Douglas Bader was an Alvis man through and through, a friend of MD JJ Parkes and owner of the only Alvis to be fitted with a Manumatic transmission, a TC21. His early TD21 was the first to be fitted with a Borg Warner automatic, some time before it was an official option. 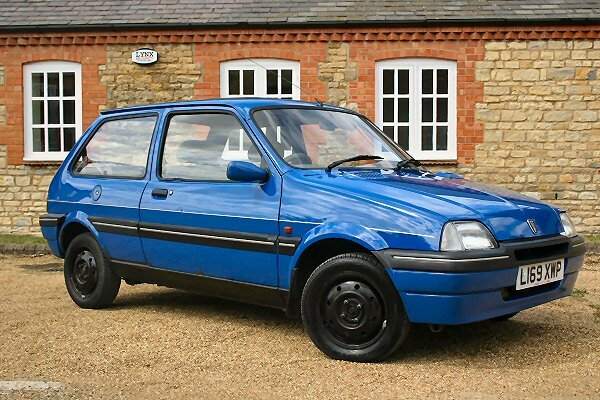 Thinking about the Metro wasn’t a bad motor in its day. I learnt to drive in one and latter bought one in the early 80’s. Though it had a very strange driving position it was a very easy car to live with. It had loads of glass unlike just about all new cars, it had loads of room(I’m 6’3″)and was very nippy around town.Mine was a 1L model but what it lacked in power it made up for with great steering and handling. The 4 speed box was a limitation but most cars of this type only had 4 speed, 5th was usually a optional extra.But it was very cheap to run, low insurance and 40 mpg all day long, plus I could service it myself with parts from my local Halfords.As for having a crash it was no worse than any other car of this type in its day. ….. Douglas Bader was great by the way, a true inspiration, the book(and film)reach for the sky was a very good read! My Dad’s 1993 L Quest edition was built to order for my sister. It was hit in the rear when an hour old and three times since. My sister drove it into the back of a pick up truck too. I welded it up five years ago and it lives on. Total mechanical work from new? one bottom ball joint, distributer cap, and a cambelt. All done at home. Scrap it? not likely! Hyundai should lend out its 2000 coupe if they really want to show how things have moved on. If you do want to buy a new Hyundai ask them to give you a quote for EACH service up to 60k……you will probably walk away. @Joe Strong Yes I agree the Hyundai Coupe looked ok from an distance but up close or driving it was something else!!! it was shocking especially when the Rover Tomcat or Ford Puma was around for similar money and far better cars in both quality and drive…. god even the Vauxhall Tigra was better!!! 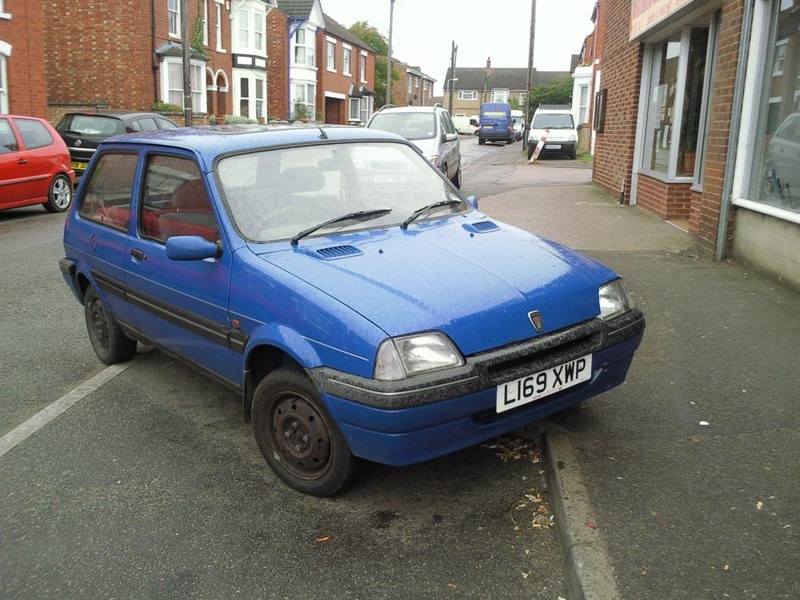 The Metro was an excellent car in its day – it was just around past its sell by date. I have nothing against Hyundai – they make decent cars for the money – but do not understand the scrappage scheme. Any idiot could see that there would be virtually no UK manufacturer benefit and that it was likely to be environmentally damaging. One other part of the NC(r)AP ratings that killed the metro is they take no account whatsoever of the cars ability to allow the driver to avoid the accident in the first place, somthing the Metro had in spades, like the mini before it. I think a scrappage scheme in some form or another will become the norm at some point in the future. We can only hope that cars with a ‘historic vehicle’ taxation class are exempted from the scheme as in America (I believe) where the scheme only applies to vehicles made after 1985. Personally I don’t have an issue with Korean cars. We all want the best we can get for any given amount of money and if you must have a new car they take some beating. My wife runs a 2005 Kia Picanto which has now covered 45000 totally trouble free miles. Main dealer servicing can be expensive but most of the day to day stuff I can do myself. The equipment level is unbelievable and includes air con, all round electric windows, central locking, electric mirrors, radio, cd and MP3 player, alloy wheels, etc etc. 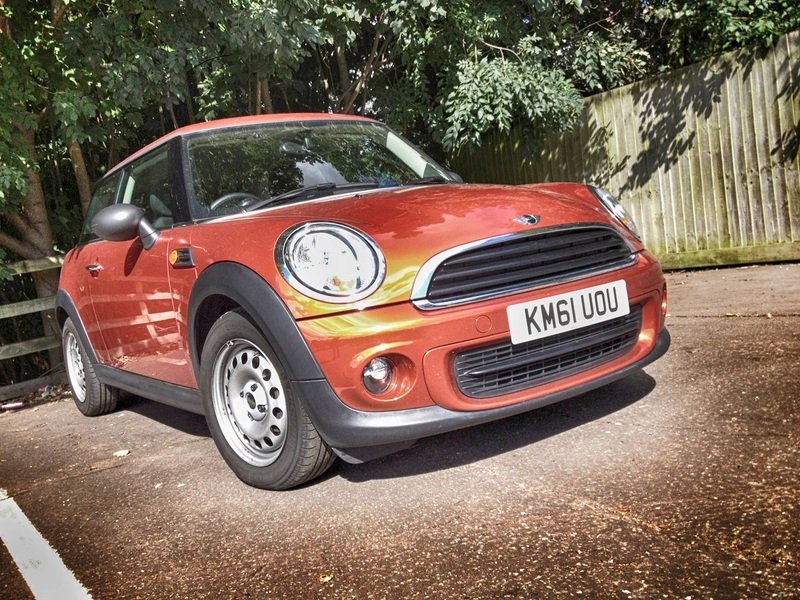 She’s now looking to replace the car and quite simply very little comes close at the price. I drove one of the 114 Ds across the country on business on an evauation exercise when the staff in my department complained at being told they were getting them to replace the Maestro TDs that were no longer available. I thought the car was fine but I could see their point on being downgraded. Our fleet was all Austin Rover below director level, with 100 Cs or Ascots at the starting point and 114 SLis for the next level. Flame Red wherever possible. Whether petrol or diesel depended on your annual mileage. Everyone was given an ioniser thingy – the type that’s meant to stop limescale in your home water pipes – to fit on the fuel line because one of our directors was adamant that it would do the same job of improving economy(!) as one of those Fuel Cat things. The firm I worked for had an all Austin Rover fleet up to Director level, Flame Red wherever possible. I had to drive a 115SLD across the country on business as an evaluation exercise when staff complained about them as proposed replacements for their Maestro TDs. I thought it was a nice car although they of course had a point about being downgraded. As an aside one of our directors gave every driver a catalyst thingy designed to deter limescale in home hot water pipes. We had to fit these on the fuel lines because he was adamant they would give the same economy benefits (!) as those tin-based catalysts. I’d have the Metro *every* time. I have a 1993 1.1S and although rust is a constant headache, it’s a fantastic car. Comfy, nippy and handles brilliantly. We got the car at 37k and it’s now pushing 80k. It’s never needed anything mechanically doing to it (other than servicing) and the head gasket is just fine! I thought the car was fine but I could see their point on being downgraded. Our fleet was all Austin Rover below director level, with 100 Cs or Ascots at the starting point and 114 SLis for the next level.